This week, a [paper] came out describing a new baby enantiornithine. Enantiornithines are early birds that are closely related to the birds we see today, but part of a separate group. All enantiornithines went extinct at the end of the Cretaceous. An enantiornithine. By S. Abramowicz. This paper describes a fossil from the Early Cretaceous of Spain that preserves most of the skeleton. It is a remarkable specimen because it died around the time of birth. Because of its young age, it can give us a special glimpse of how the skeletons of enantiornithines developed in their lives. 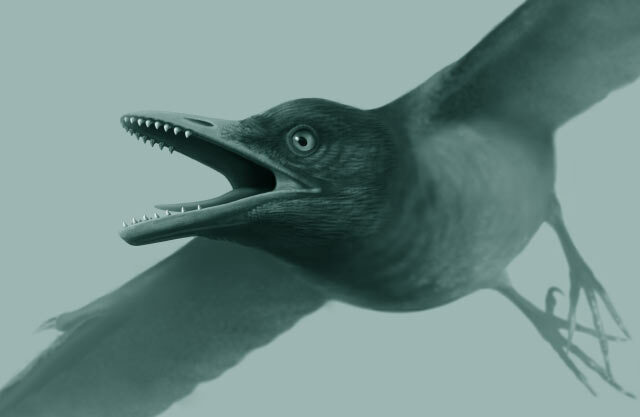 Figure 1 from the paper showing the fossil. The head is up and the face is pointing to the right. Of all the bones in this fossil, the sternum and the tail give us the most information into enantiornithine skeletons. The sternum is the large breastbone in birds that anchor the flight muscles. Enantiornithines also have a large sternum. This fossil shows that the sternum starts to ossify (or turn into bone) later than the other bones in the skeleton. It does this in a complicated pattern that is different from what we see in other enantiornithines and modern birds. Figure 4g from the paper showing the ossification pattern of the sternum. It starts out as cartilage (grey) and it starts to ossify in the red, blue, and yellow sections. The bone grows out from there until the whole sternum is made of bone. The tail in birds is usually fused into a bone called the pygostyle. In young birds, the vertebrae are still separate. This fossil has more separate vertebrae than the adult enantiornithines. 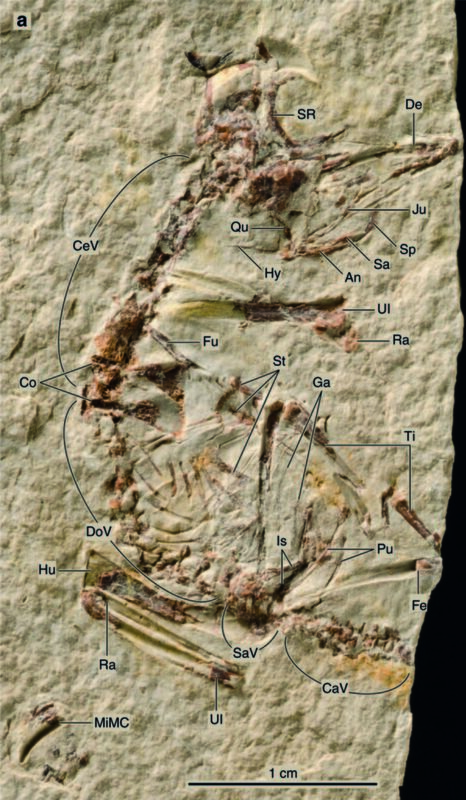 Figure 4 d and e from the paper showing a tail from an adult enantiornithine on the left and the baby on the right. Both of these characteristics are slightly different than in other enantiornithines and in modern birds. This tells us that though very similar to modern birds on the outside, enantiornithines were developing their skeletons slightly differently. Ultimately, this could shed light on the different developmental strategies that we see in modern birds (how some can walk or fly at hatching and some take weeks or years to mature fully). 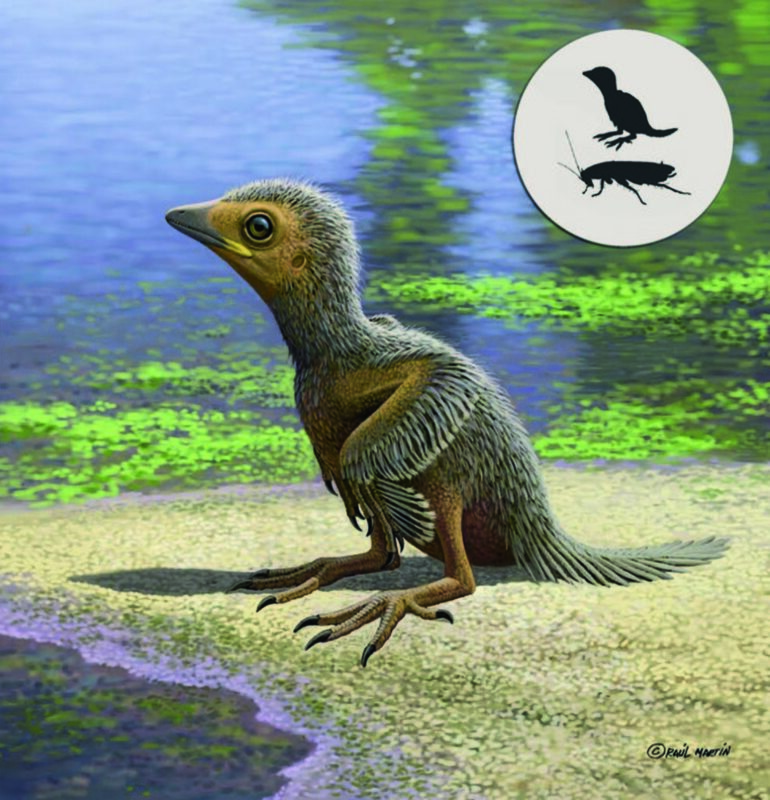 Figure 7 from the paper showing a reconstruction of the baby bird. The silhouettes show how big the baby would have been compared to a cockroach of the time. By R. Martín. This entry was posted in English and tagged baby, Early Cretaceous, Enantiornithines, Ossification, Spain. Bookmark the permalink.